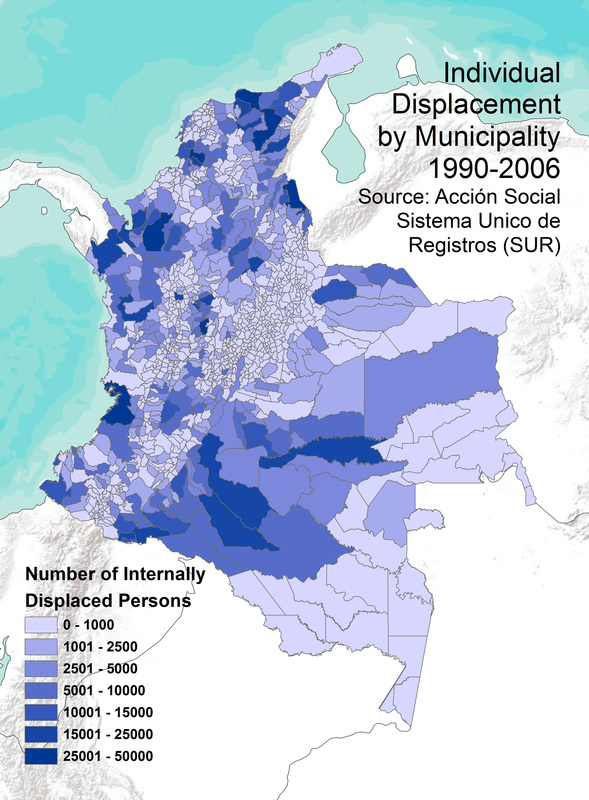 Colombia has one of the world’s longest running internal conflicts. While the country’s security situation has improved over the past decade, multiple insurgent groups and remnant and emerging “criminal bands” (BACRIM) involved with drug-trafficking and other illegal economic activities remain active and continue to threaten both the civilian population and government institutions. Given the rough terrain, drug trade, variation in state capacity, and external insurgent support networks found in the Colombian context, insights drawn from this case may have relevance for other conflicts. Further, the high-quality quantitative data available for its roughly 1,100 municipalities extending over long periods of time make the country an ideal setting for testing theories of conflict. ESOC researchers working on Colombia are involved in a number of projects to better understand patterns of conflict and development. One recent study questions the counterinsurgent effects of historical land reforms, identifying the conditions when reforms have a chance at stemming insurgency and when they are likely to fail. Another line of research has examined how some communities may “opt-out” of conflict settings to avoid episodes of violence and remain resilient against pressure from armed groups. Currently, studies are underway to analyze the Government of Colombia’s National Consolidation Plan, a USAID-supported policy designed to bring greater security and state presence to historically conflictive regions through development and governance enhancement programs. ESOC research on consolidation is examining how this program impacts a range of economic, political, and social outcomes. Other projects underway will analyze the links between the illegal narcotics trade and security. ESOC researchers are building relationships with governmental and non-governmental institutions in Colombia to continue to compile fine-grained observational and survey data on conflict, development, and governance indicators.